We recently tested some ethnographic methodologies in order to take our research out of the lab (where we usually conduct it) and to observe users in their natural real world setting. We think we know our customers quite well but wanted to find out some more about how football betting fits into their lives. 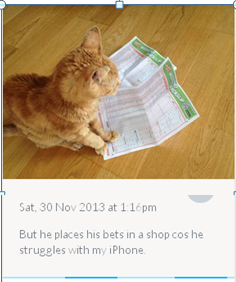 We undertook an ethnographic study with 22 Football Betting participants. We used a tool/system called EthOS (Ethnographic Observation System) App. Participants downloaded this app onto their mobile phone and then used the app to record their behaviour and thoughts on their football beting activity over a 10 day period. Using this app, participants could upload photos, texts, videos and audio files to describe what was going on. At the start at the project, we had a face-to- face welcome session with our participants to introduce ourselves, explain what we were trying to do and to make sure they knew how the app worked. Also at that session we gave them a research brief – highlighting several areas we were particularly interested in finding out more about e.g Triggers to start betting, triggers to switch accounts etc. We were blown away by the level of engagement of participants with this project; these guys do love talking about football and betting! Of course, not everyone contributed in the same way but at least 50% (9 or 10 out of the 22 participants) really got into this project and gave us lots of really meaningful, insightful and varied entries. We asked participants to tell us about how they were feeling at different parts of the journey and they certainly did! 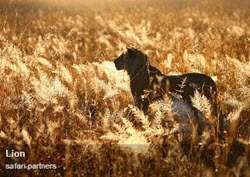 Participants could tag their own entries as they uploaded them and often tagged how they were feeling at the same time. This gave us some great insights into the different emotional highs and lows they experienced throughout their betting journeys. The simplicity of the app & the face to face meeting at the beginning. The participants understood how app worked fairly quickly though it was well worth it having a face to face meeting with them at the beginning to show them the app and explain how it works. This session was also an opportunity to ensure they understood both what was expected of them and what we were hoping to achieve with this research. Initially we thought we might not mention who we worked for (PaddyPower) but in fact I think it was essential to introduce who we were and what we were trying to do, in order to build Trust. This is especially important in remote research such as this. Spending time and resources getting the right participants. We did this via our recruitment agency partners – All Global Viewing who, as usual did a splendid job. Participants where spot on in terms of their type of football betting activity they engaged in and also their attitude towards being part of a project like this. Being able to code the data as it came in on-line helped hugely in the analysis at the end. Also, of course, being able to comment on participants entries as they came in was useful in encouraging further engagement. Offering a (cash) prize for the most insightful entries definitely got the participant’s competitive streak going! 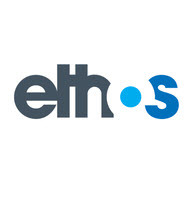 The Ethos software allows you to create workspaces online where you can invite groups of participants to participate in. In the workspaces they can see and comment on each others entries. We invited 5 participants to participate in a workspace around social activity and betting. I do think developing the social aspect of the Ethos tool would have a lot of mileage as being able to engage with each other would add another dimension to the participants conversations. In fact, a couple of participants mentioned after the project that this would have liked to see others entries. Ethnographic research is by its nature; unstructured. When planning the research initially, I had arranged it around a number of tasks. However, we changed from task driven instructions to giving participants a research brief with an overarching idea of the types of areas we were looking to learn more about. From this we hoped that conversations and themes would naturally emerge. We were still left with an awful lot of data at the end . Some feedback I got when presenting back the data is that, in order to make it more digestible, it could have been useful to build a presentation around one or two central themes, such as A Day in the Life of a Football Bettor or something along those lines. I suppose this is the nature of the beast – ethnographic research – to strike a balance between letting the research loose ‘in the wild’ and putting your own structure around it. It is something we are still learning. And on a very final note, I found this to be a fascinating project – alot of the data that came back from this study was quite familiar (we do know our users!) but it was the spaces in between some of the data and the conversations taking place that proved to be insightful and spark ideas. And I would highly recommend the Ethos mobile tool.